We are happy to answer any questions you have about the many services that we provide. 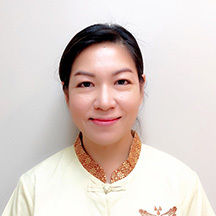 Jel [Chewaporn] Rasri came to Canada in 2007 after practising Thai Massage in her native Thailand for over 20 years. 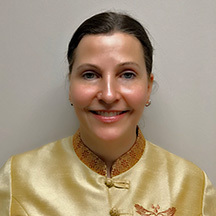 In 1999 she graduated from the noted WatPo Thai Traditional Medical and Massage School in Bangkok, Thailand – completing the courses of Professional Thai Massage for Health and Professional Thai Massage Therapy. In 2016, Jel graduated from ITM (International Training Massage School) located in Chiang Mai, Thailand. With over 15 years of experience in health and wellness, Heather combines her skill and knowledge of both massage therapy and personal training to deliver individualized treatments to her clients. Utilizing a variety of massage techniques, you are guaranteed to leave your session feeling and moving better, so you can get back to enjoying life. 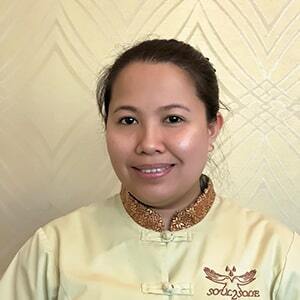 Nitaya Lockheart graduated in 2005 from Thai Massage School of Chiang Mai, Thailand. She has over 7 years of experience with the different massage techniques. 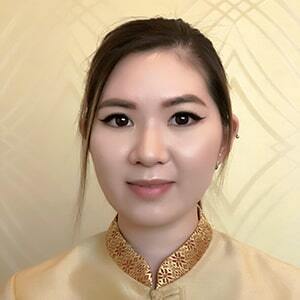 Previously she worked at the OASIS Spa in Thailand and at a Chinese medicine clinic in Red Deer. Getty recently graduated from MaKami College with over 2,200 hours of training and experience. 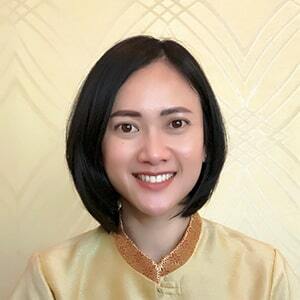 Besides her education and practice at MaKami College, Getty was trained and has been practicing Thai massage since 2010. She grew up surrounded by massage therapy family members, relatives, and colleagues. Praweena is a Registered Massage Therapist with over 15 years of experience. She uses many different massage techniques indluding deep tissue, relation/Swedish and reflexology. 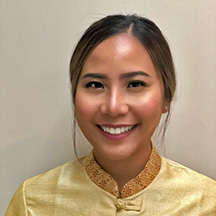 She is fully trained in traditional Thai massage, graduating from the WatPo Thai Traditional Medical and Massage School in Bangkok, Thailand. 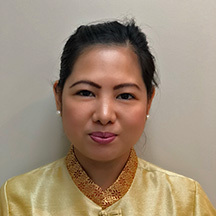 Irene’s studies have provided her with the knowledge of Swedish massage, Deep Tissue Massage, Advanced Neuromuscular Techniques, Myofascial Release, Sports Massage, Hot Stone Massage and Myofascial Cupping. She has certificates in Advanced Neck Treatment as well as Advanced Hip and Lumbar Back Treatment. Lena is a graduate of MaKami College in Edmonton. 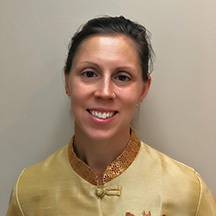 With over 2,200 hours of training, Lena has developed many skills in a variety of modalities including Myofascial Release, Deep Tissue Massage, and Trigger Point Therapy. Those who get to know Lena will tell you she is hard working and dedicated to helping her clients receive the best possible results and service from her. 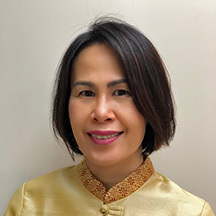 Maria completed 2,200 hours of training and is currently continuing her education to obtain 3,000 hours for Advanced Clinical Massage at MaKami College in Edmonton, Alberta. She is a member in good standing with the CRMTA (Certified Registered Massage Therapist in Alberta). 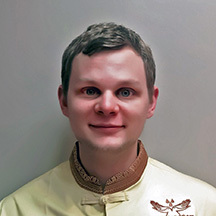 Since graduating from MaKami college with over 2,200 hours in training , Alex has developed a strong interest in modalities that offer therapeutic relief including myofascial release, deep tissue massage, myofascial cupping, sports massage, and trigger point therapy. Alex is also trained in head and relaxation massage techniques. Valerie’s warm and gentle nature makes her a born natural when it comes to helping others and hands-on healing. Dedicated to helping you restore your body’s natural balance, Valerie combines a variety of massage techniques to release muscle tension, stretch and strengthen your muscles. 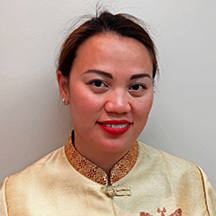 Dureza has completed 2,200 hours of training and is currently continuing her education to obtain 3,000 hours for Advanced Clinical Massage at MaKami College in Edmonton, Alberta. She is a member in good standing with the CRMTA (Certified Registered Massage Therapist in Alberta). Thaiwan graduated from the Wholistic Health Training and Research Centre in Edmonton with over 2,200 hours of training. 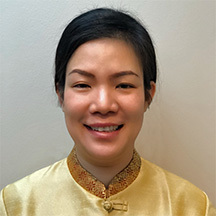 She also studied and graduated from the well-known WatPo Thai Traditional Medical and Massage School in Bangkok, Thailand. 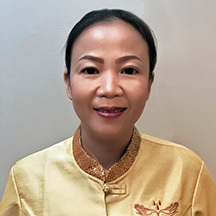 She completed all course requirements for Professional Thai Massage for Health, and Professional Thai Massage Therapy Programs. 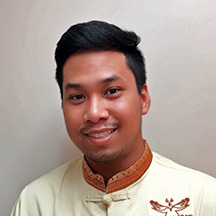 Thaiwan specializes in traditional Thai massage, Deep Tissue, relaxing massage, as well as many other modalities. 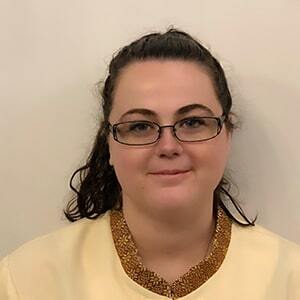 Cheryl graduated in November 2017 from Robertson college of the 2200 hour program in Winnipeg MB. 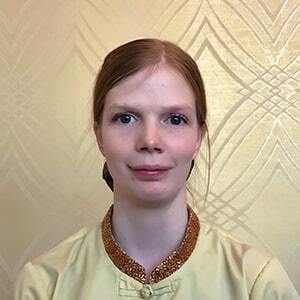 She has experience in swedish massage, therapeutic, deep tissue, prenatal and sports massage. She is a strong believer in the power of the human touch and how that can heal and theraputicaly release muscle tension, low back pain, head aches, tendinitis, post surgery, and so much more. 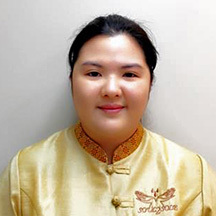 In 2012 Prakhong graduated from the Thai Traditional Medical Services Society in Thailand. 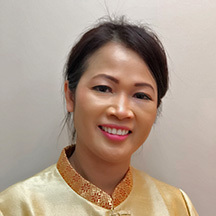 In 2015 is graduated from the well-known WatPo Thai Traditional Medical and Massage School in Bangkok, Thailand. 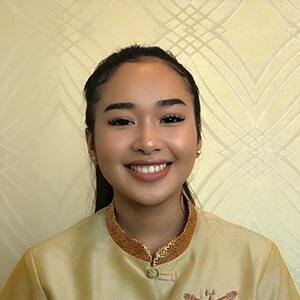 Completing her studies, Prakhnog worked at the Let’s Relax Spa in Thailand before coming to Canada in 2018. Katlyne completed her education to obtain 3000 hours of Advance Clinical Massage at Makami College in Edmonton, Alberta. She is a member in good standing with the CRMTA. RMT Katlyne specializes in relaxation, Deep Tissue, Hot Stone massage and Advanced neuromuscular techniques. She can’t wait to start helping people heal and feel more rejuvenated. Don’t let stress ruin your life. Instead, make yourself a priority and carve out some time for yourself. A soothing massage is just what you need to relax and release stress. © 2018 Soul 2 Sole . All Rights Reserved.